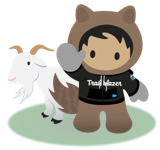 Salesforce classic calendar supports drag & drop of events. Lightning has much more dynamic user interface, but it still lacks this basic functionality which keeps many customers from managing their calendars entirely in Salesforce. I agree completely! The Lightning Calendar needs drag & drop. This is a priority. Sorry guys, but we need some of these fundamental bits of functionality, please. I can't understand why this feature would be removed in Lightning. It is crucial to efficiency in managing calendars, as well as just a great feature for customer satisfaction. This feature is used by my entire organization and will hurt our adoption of Lightning. As advanced as all the new features in Lightning are, this feature should be among them. We are turning up Lightning on 4/9 and just realized this feature does not exist. Our 200+ engineers manage their calendars in SF classic and use the drag/drop feature extensively. We have to have this as it will create an adoption issue due to effectively taking an existing feature away. Must have as a standard. Our Sales Team use this feature widely. Any update from SF on when this will be available? Couldn't agree more, this functionality needs to be enabled in Lightening Experience. Our users will be going backward from a functionality standpoint. Disappointing. Our field reps use this feature heavily in Classic. I fear this issue alone will prevent widespread Lightning adoption in our org. The amount of time our sellers spend on their calendars due to loss of drag and drop functionality, along with daily related frustration is non-productive time. PLEASE add to SOUS.